In Escaping the Prison, you are Henry. You’ve been brought to prison for a bank heist gone wrong. And all you have in your mind now is how to escape the prison and return to your bandits-in-arms. Thankfully, someone keeps bringing cake to your cell; says it’s from a “special someone”. However, what the guards don’t know is what’s inside the cake. Within the delicious pastry lies a means to escape the prison. On a daily basis, you receive a different cake – each with different parts that you must combine to flee the cell. Once the time comes, you must get out of there by whatever means necessary. But, there’s a catch – the guards WILL stop you if you don’t proceed with caution. Also, take note that sometimes you get parts in order to combine them with the previous items you got from past cakes while some are already premade. Will you use the saw to destroy the cell bars? Or are you going to use the spoon to scoop your way in the wall? Will a lockpick be enough to guarantee your freedom and run away from the prison guards? The game has 3 different endings depending on your decisions. We won’t spoil you the details. Although, we’d like to point out that the endings include bad, good and neutral. Kind of feels like Mass Effect 3, doesn’t it? Additionally, you can get caught in 18 funny ways! Sometimes, you get beat up badly. Other times, when you pop your head out of the corner, the guards are just there grinning to let you know there’s no escape. It’s a comedic prison fiasco that’s easy to pick up and play! Play the funny and exciting Escaping the Prison game on PC now! Download it here! 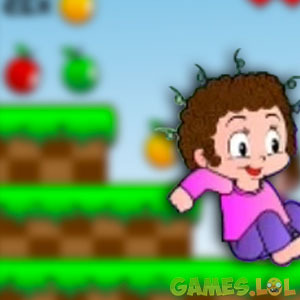 Then check out more Casual Games that will keep you rolling in laughter like Will it Crush? and Pick The Gold! your Escaping the Prison installation.